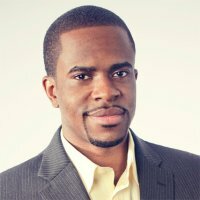 Stephen Stewart is an entrepreneur and attorney. He is the founder of DeanMark (a marketing, branding, and advertising consulting firm) and worked in the field of Information Technology in various roles. Stephen earned a J.D. from Temple University’s Beasley School of Law and a B.A. from the University of Pennsylvania. He is a member of the Executive Board of the Temple Law Alumni Association. Stephen is particularly passionate about social causes concerning seniors and youth — having volunteered his time to support non-profit organizations that address the needs of both groups.